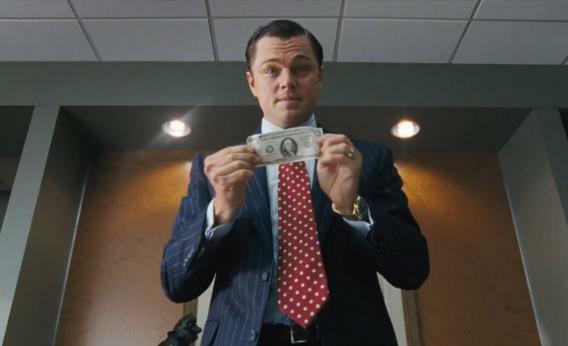 Paramount has pushed back Martin Scorsese’s ‘Wolf of Wall Street‘ back to Christmas day. Originally, it was going to open Thanksgiving. But just shortly after they made this announcement, we have a brand new trailer with all new footage. And like the first one, it looks incredible. It looks like the main stars are Leonardo DiCaprio and Jonah Hill with Matthew McConaughey, Jean Dujardin, Rob Reiner, Kyle Chandler, Margot Robbie and Jon Bernthal rounding out the impressive cast. This film is a true story based on real life stockbroker Jordan Belfort, who wrote his memoir of the same name. He scammed over $200 million from investors and was indicted for fraud in 1998. This looks like a much more intense version of ‘Boiler Room‘, and I can’t wait to see it. Enjoy the trailer. This entry was posted on Wednesday, October 30th, 2013 at 11:49 am	and is filed under Film, News. You can follow any responses to this entry through the RSS 2.0 feed. You can skip to the end and leave a response. Pinging is currently not allowed. We got a problem here with a corpse. Yeah, it fell outta the sky. I don't think he's an astronaut.